*Step 1: To keep a dim environment. In a day, close all doors, draw all curtains, and turn off all lights. At night, turn off all lights, please. Dim environment is an important advantage. *Step 2: To Turn on the power switch. *Step 3: To press the infrared led light switch, the led light shines. It is best to press the switch twice. For the first time, the led light shines in a low frequency. 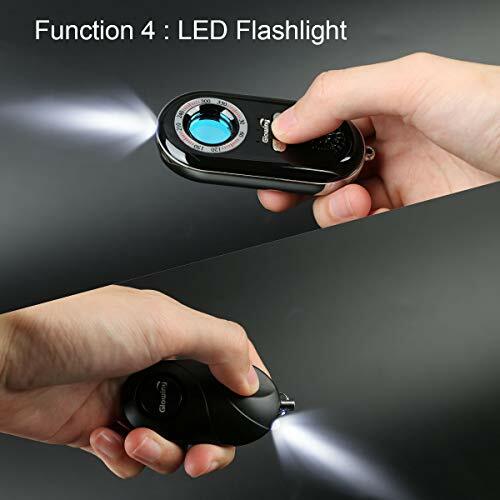 Twice, press it for a longer time until the light flashes in a high frequency(Notice: short press turns off the light). Thus, the reflecting lights from a camera twinkles very quickly, and this is advantageous to find a hidden camera. *Step 4: To look for a hidden camera through the infrared vision window with your eyes. Move slowly around the room, and go close to every place where you doubt a camera is set probably. you maybe need to go back and forth in different vision angles until that you find a hidden camera or you judge no camera is set. Three key advantages: a dim environment, a close distance, a right vision angle (it is best to tend to 90 degree, and otherwise, it is worse to tend to 180 degree, in which you even can't find a camera near you). *Step 1: To turn on the power switch. *Step 2: To hang it on a window, a door handle, a suitcase or other items. 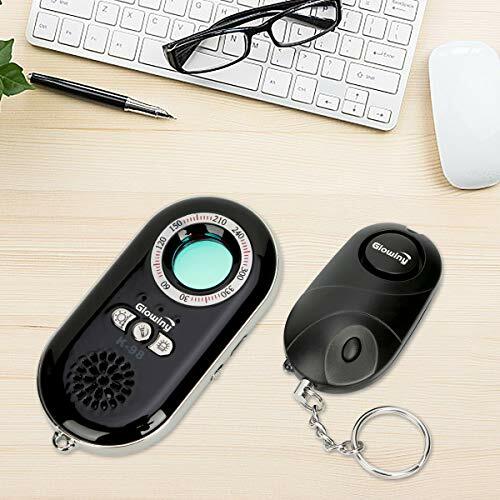 *Step 3: To press the vibration alarm switch, the red indicator light shines, that indicates the device is in a vibration alarm mode. *Step 4: A light vibration can trigger a 80 decibels alarm, and at the same time light ring in the edges flashes. *Step 5: to press the vibration alarm switch, an alarm is turned off. 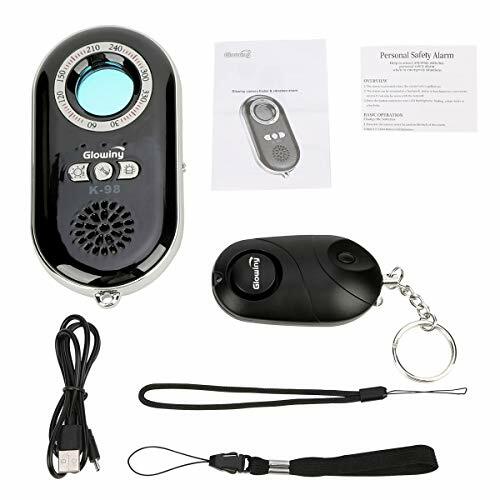 Function 1--To find wireless or wired hidden camera through a vision window with your eyes Funciton 2--Vibration Alarm. 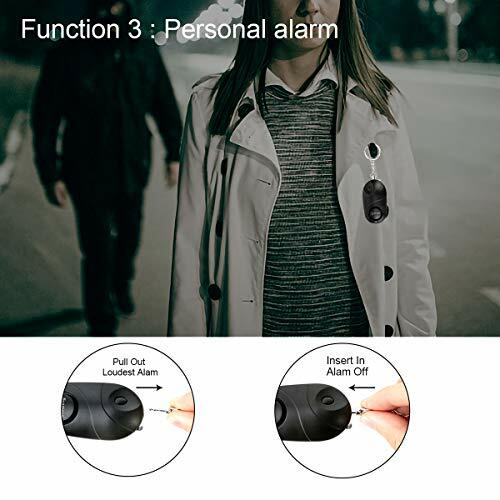 Please choose the alarm mode, and hang it in a door handle, window knob, or suitcase. Under the condition, a light vibration can trigger a alarm Function 3--Personal Alarm. 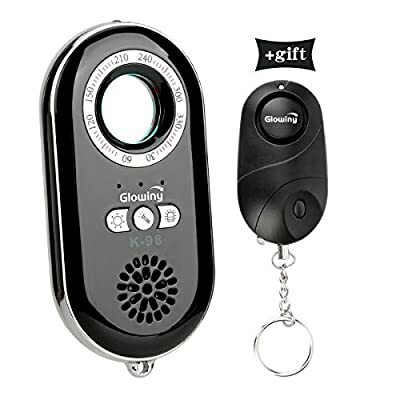 In emergency, you can pull out the cord of personal alarm (our gift ), it will sound out 130 dl, which will scare out a bad guy or attract attention from others Function 4-- Lighting. 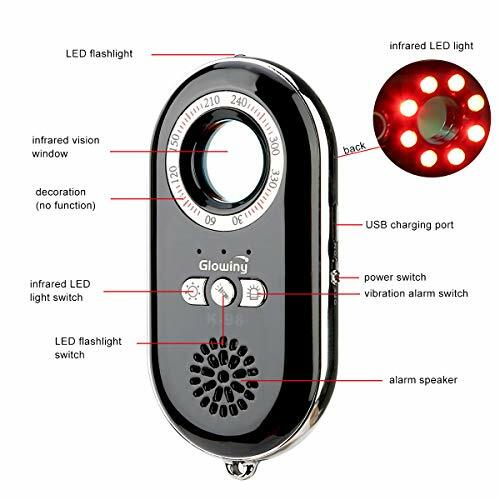 The led flashlights will give you an emergency lighting, both in the hidden camera detector and the gift We provide a travel security kit especially for travelers. Notice: We suggest that you turn off the power switch after you use.